I’m sure like me you have seen the modern stick on nails everywhere and now they all have fancy designs so we don’t even have to paint them! Bianca was kind enough to send me some imPRESS nails to try out and as I haven’t managed to get round to buying some this was great for me. Before becoming a makeup artist I had acrylics on all the time but they really got in my way when working on clients so I haven’t had them on for about 4 years now. I converted to gel nails but I’ve been naughty recently and bitten them all off so right now nothing but false nails will make them look good so this is ideal right now! The packaging is made to look exactly like a nail polish bottle and inside are 24 different nail covers. No glue needed as each individual nail has a stick patch on that is removed before application. As there are 24 nails you have plenty to go through to find the perfect size for each individual nail and also replace any. The most striking thing about imPress nails are the patterns and colours, they are vibrant and fun! Measure the nails up against your own and when you find the perfect fit simply pull off the plastic tab and stick them down. They feel really secure which was an initial problem I thought I may have. 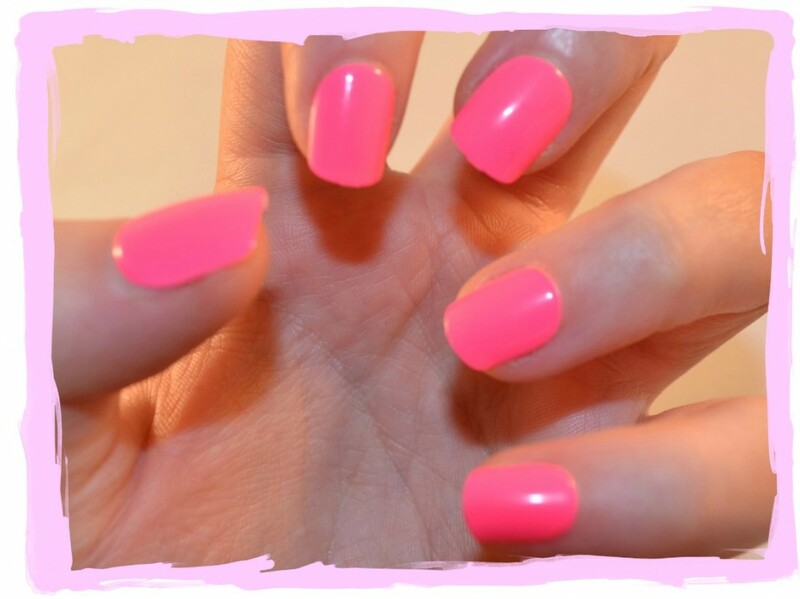 The nails are said to last upto 1 week, this may be the case depending on the job you have…. I may just about get through my job tomorrow with 5 left on as I am constantly rummaging through my makeup and I don’t really have time to take care when it comes to my hands (this is pretty obvious from my before picture).